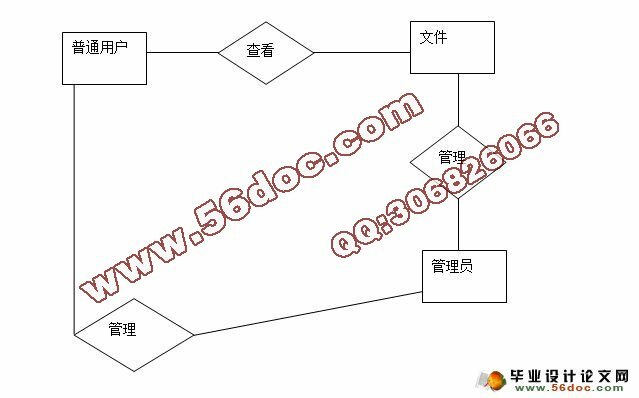 With the rapid development of information science and technology, people gradually became aware of the use of information management software can make everyday tasks more convenient, fast and efficient. 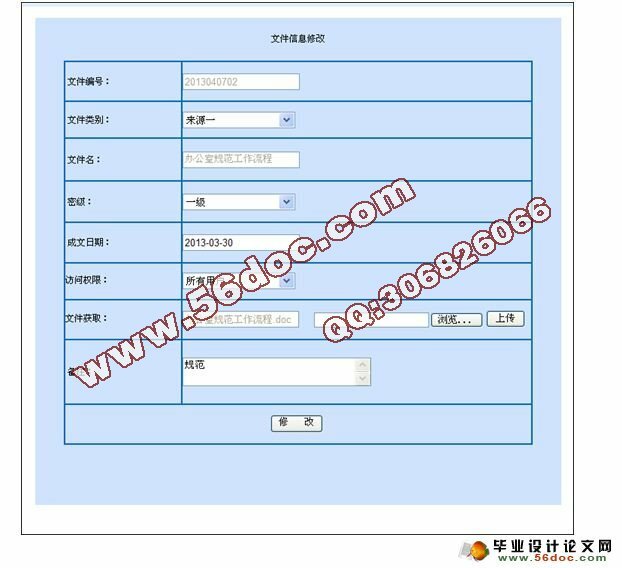 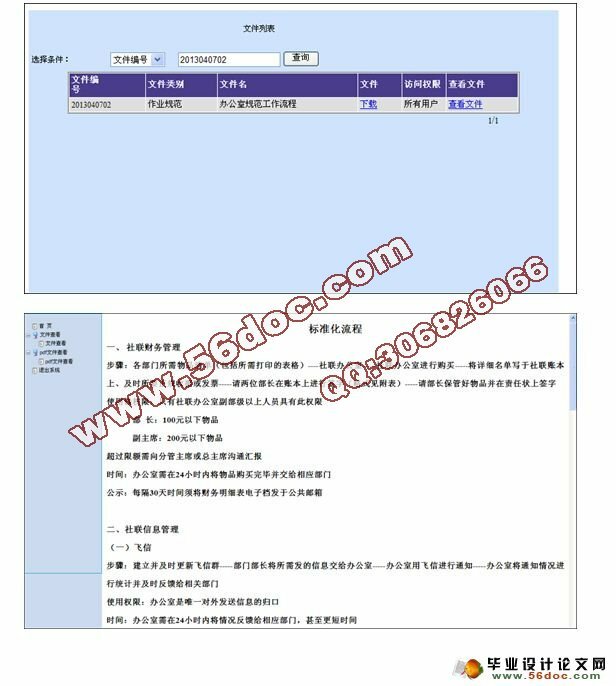 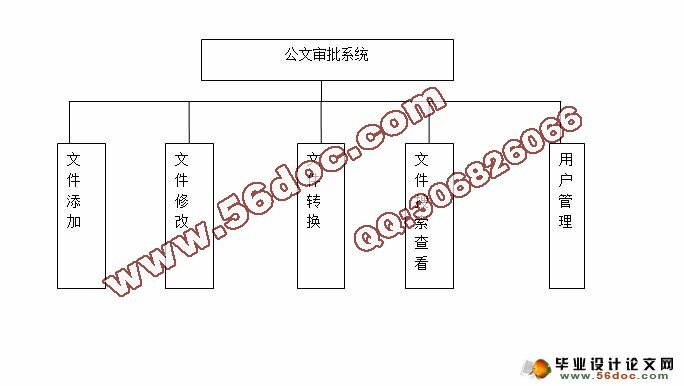 The paper discusses in detail the document approval software part of the development of the internal affairs of the design process. 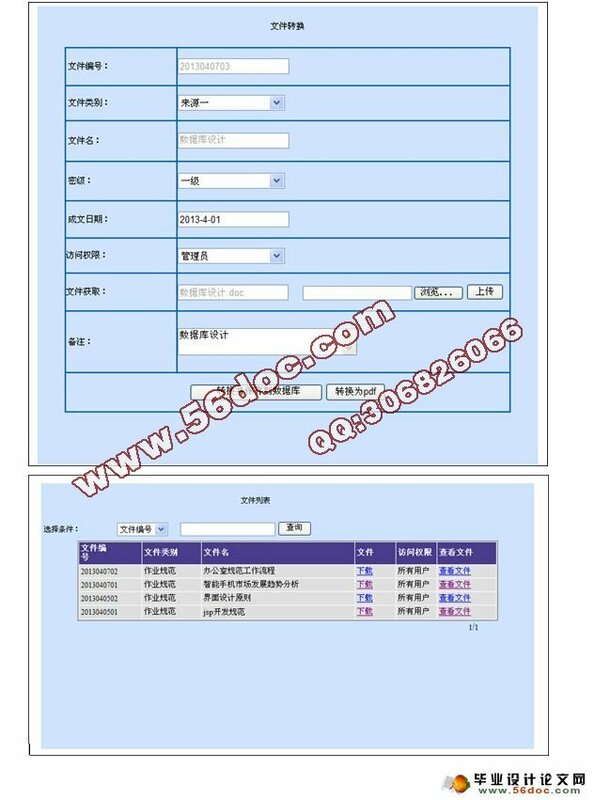 File creation software using VS 2008 as a development platform, C # as the programming language, SQL Server 2000 database management system, the administrator can modify online, convert Word document to PDF function. 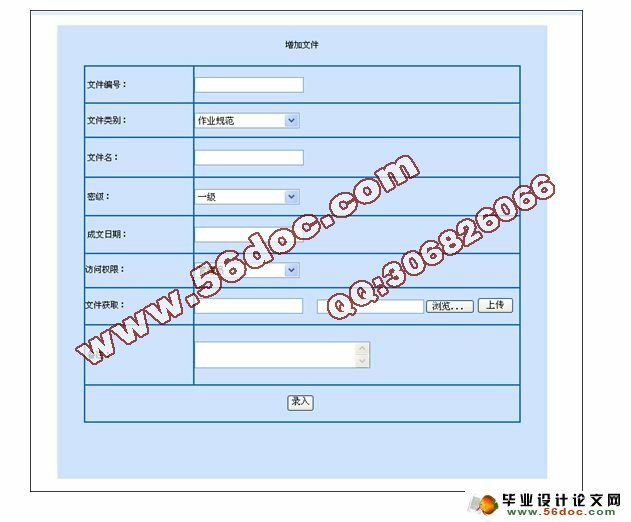 Ordinary users to view the files. 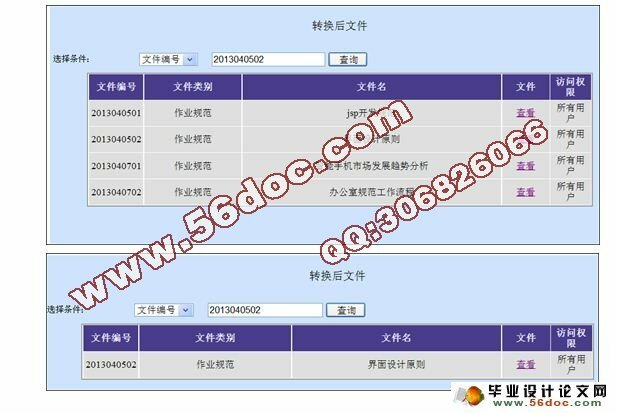 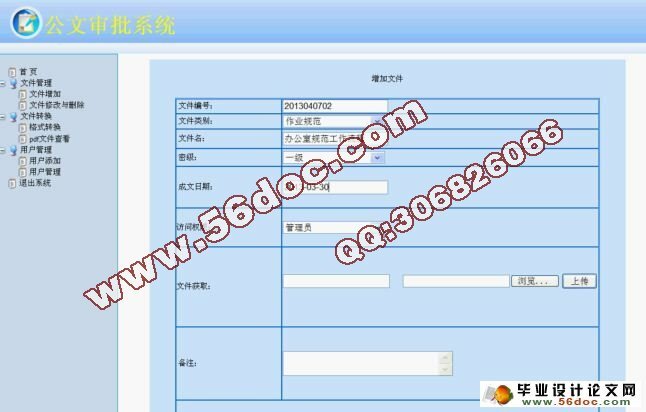 The document approval software development, can help enterprises to improve management efficiency of document approval. 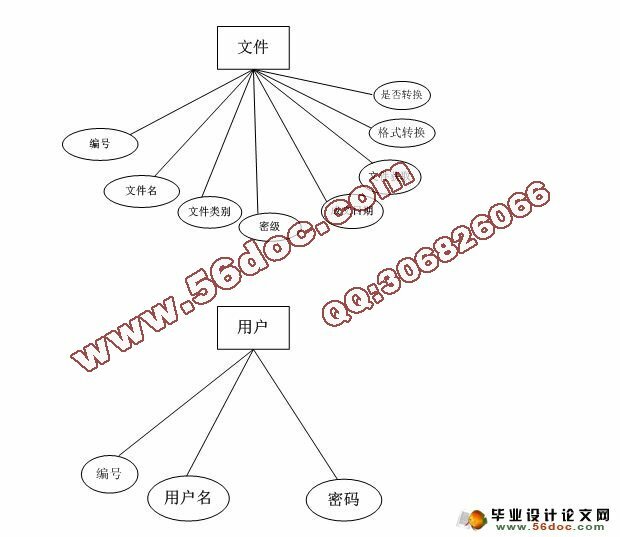 Software development in line with the general management of the software development process, with considerable reference value on the development of other similar software.